Heavy duty 13A tough black ABS plug, fitted with 13A fuse. 13A single gang extension socket, complies to BS1363/A. Available in black or white. 4 gang trailing 13A socket outlet with red neon indicator. Mains rated 3 terminal cable joiner with cable clamps. 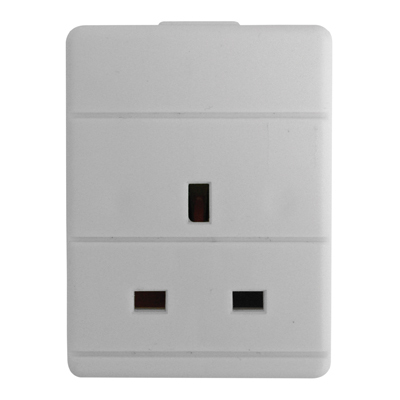 3-way mains plugs and sockets commonly used on electrical tools or mains appliances.